Suzuki Hayate is built to attract the larger Indian customers who look for a quality ride and greater performance. The design of the vehicle is simple yet sophisticated and is best for both the urban and rural roads. The vehicle is so structured that both the younger and older generation would love to ride it. Not only the looks but the performance and the fuel efficiency of the vehicle are pretty good. So people who worry about raising fuel rates would love to own it. On the whole a very good and appealing bike at valuable price. 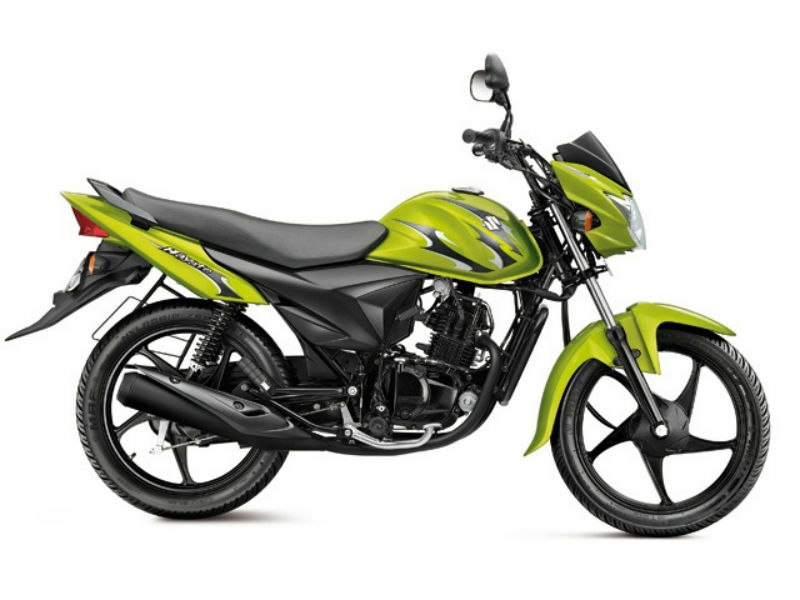 Suzuki Hayate is equipped by powerful 112cc air cooled, single cylinder, four stroke, SOHC engine. The maximum power generated by this engine is about 8.8PS and the maximum torque produced is about 8.8PS. The wet sump lubrication used by this engine ensures smooth drive. 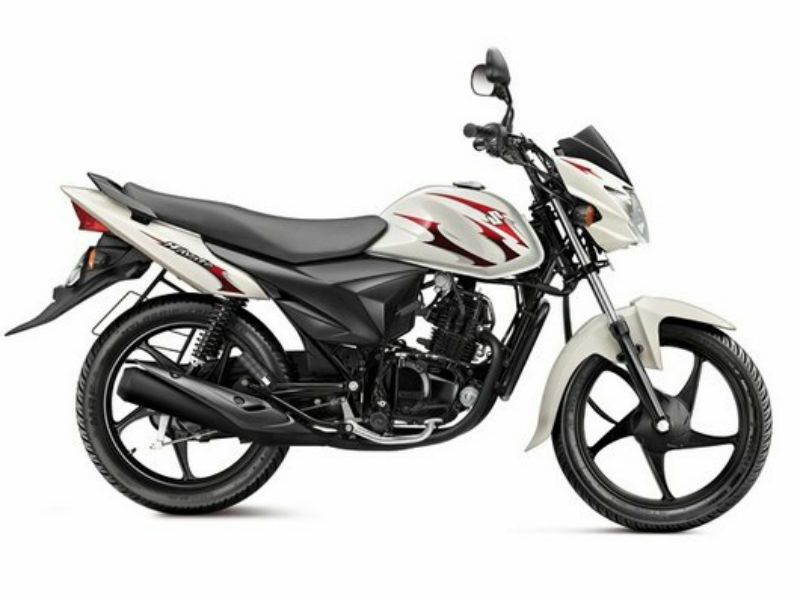 Suzuki Hayate comes with an impressive design and greater comfort. The stylish body of the vehicle including aggressive headlamps, stylish rear view mirrors, appealing fuel tank, broader seats, black alloy paint for wheel rims and fancy graphics makes the bike eye catchy. The low seating of the bike is other plus point as it assures greater comfort even for long drive. The bike is known for its good riding experience. The telescopic and swing arm suspension of the vehicle provides the smooth ride even on bumpy roads and because of this rider can easily drive long distance. The drum brakes of Hayate are other major advantage of the bike as they assure quick braking thereby controlling the severity of the mishap. 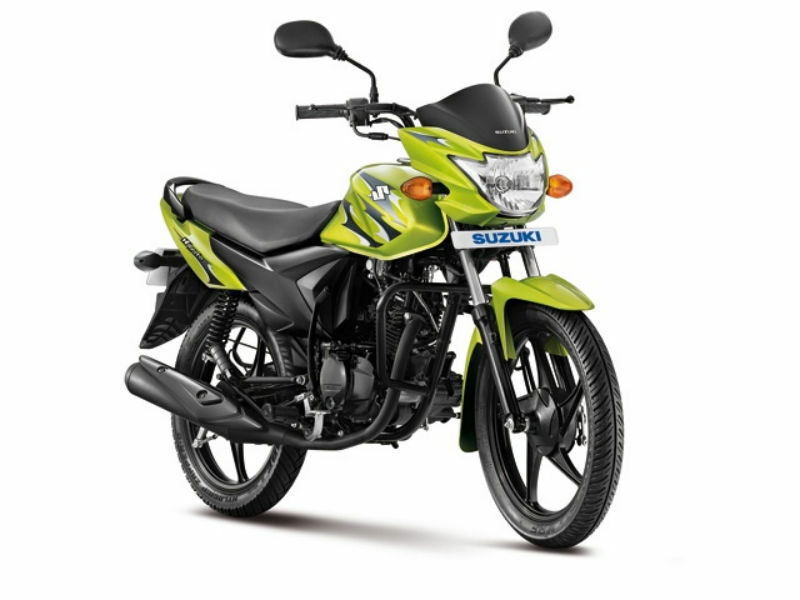 Suzuki Hayate gives the mileage of about 55 to 60 Kmpl depending upon the road conditions. The ex-showroom price of Suzuki Hayate is about Rs.40,212. The bike is available in five different colors such as metallic lush green, sparkle black, metallic flint grey, pearl mirage white and pearl mira red.